The busy start to 2019 continues with Buxton and Edale Mountain Rescue Teams called to an experienced male walker, who had slipped on the riverside path between Ashford in the Water and Bakewell. 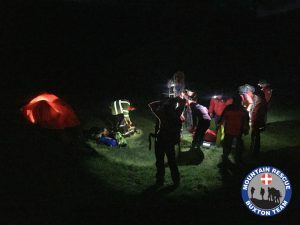 The casualty’s friend made him comfortable using his emergency shelter, which helped to keep him warm, before walking towards the road to get a mobile signal, and make the 999 call for help. On arrival at the casualty site, a full assessment was made and it was determined that the casualty had sustained a suspected fracture to his left leg. 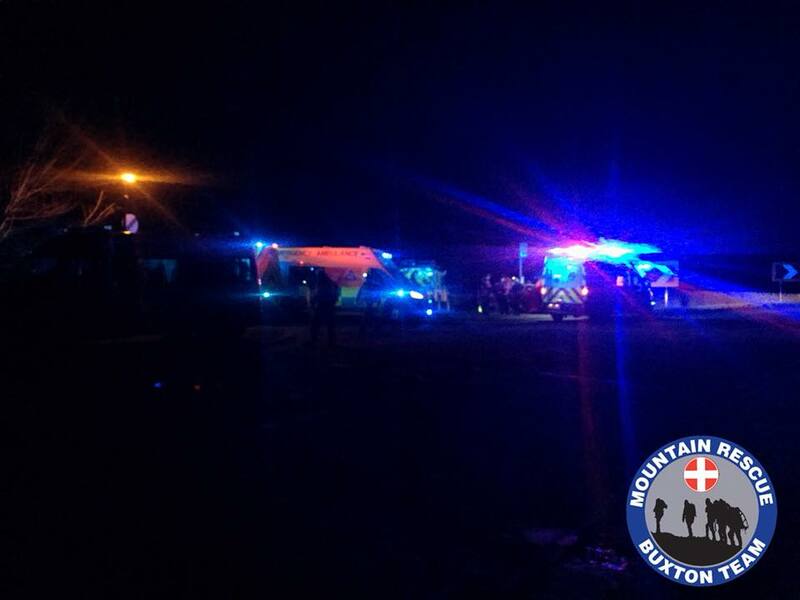 The casualty was placed onto the team’s stretcher, imobilised, given pain relief and transported to a waiting East Midlands Ambulance. Thank you so very much for your attendance on this evening. I was the casualty in this particular incident. I was in Chesterfield Royal Hospital for two nights before being discharged with only a torn hamstring, no breakages. After further physiotherapy at Loughborough University Sports yesterday I am weaning myself away from crutches. Your work and help is invaluable to all who love and enjoy the Peak District countryside. My gratitude is immense.